From Engelhartszell (Passau) to Vienna and Linz to Engelhartszell (Passau). A trilogy of cult films about “Sissi”, Empress Elisabeth of Austria, is always shown on German TV at Christmas. But this year, you can go one better: by visiting the Sisi Museum yourself. The Danube will take you there in festive style – with castles and abbeys lining the way as you pass through the most beautiful landscape imaginable. Vienna was made to fill you with Christmas cheer. Christmas lights shine out from the high windows of magnificent historical buildings. Meanwhile Baroque churches and opulent squares with sparkling Christmas markets and iceskating rinks look like something out of a fairy tale. The Christkindl market in Linz also entices you in with the aroma of sweet treats, festive music and a sightseeing train that whisks you off to the peaceful, wintry Pöstlingberg Schlössl restaurant. Passau is a picturesque city located on a peninsula where the Inn and the Ilz join the Danube. The predominantly Baroque city has always been shaped by historical events. Its tourist attractions reflect its rich history. Passau is also called the "gateway to the Black Sea". 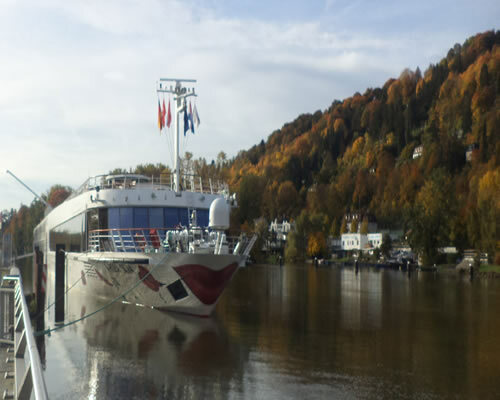 Arrive in Passau and board the A-Rosa Donna this afternoon. 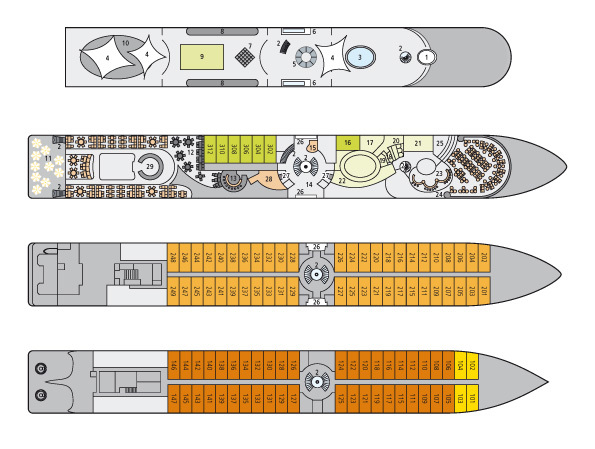 Settle into your cabin and explore the range of amenities before setting sail at around 4pm. Enjoy your first dinner on board as the ship makes her way towards the Austrian border. This morning the ship cruises through the scenic Wachau region to the west of Vienna. Vienna, the capital of Austria, is known as the city on the blue Danube, but today the main river is actually detached from the inner city and only the Danube Channel runs through the city. Vienna is still one of Europe's most seductive cities, however, and is worth a visit not just for its incomparable cultural treasures, the pomp and elegance of former glory, but also for its traditional coffee houses. Arrive in Vienna this afternoon where you can explore Vienna’s prettiest squares which are transformed into magical Christmas markets. The aroma of Christmas bakery items and hot punch creates a wonderful Christmas atmosphere. You also join a number of optional excursions including a sightseeing tour of the city to see the famous Ringstrasse, the State Opera, Hofburg Palace and the Belvedere Palace. The ship will remain in Vienna today where you may continue enjoying the advent markets or perhaps join an optional sightseeing tour of Schoenbrunn Palace or spend some time in one of the many elegant cafes for which the city is known. The A-Rosa Donna departs Vienna in the evening. Arrive in the city of Linz situated at the heart of the Danube. Linz boasts a sizable Old Town rich in culture with numerous museums and festivals. Here you may stroll around town, stopping to buy Christmas presents and inhale the scent of Bratwürstel and mulled wine. The Linz Christmas Markets are a true festive highlight and are held on the city's baroque main square and also in the Volksgarten. Your cruise comes to an end this morning as you disembark in Passau after breakfast.